Akshay Kumar and Bhumi Pednekar promoted their film Toilet: Ek Prem Katha on the sets of the show Dance Plus in Mumbai on July 27, 2017. Despite reports of an online leak, lead stars did not give up and continued with their promotional schedule. 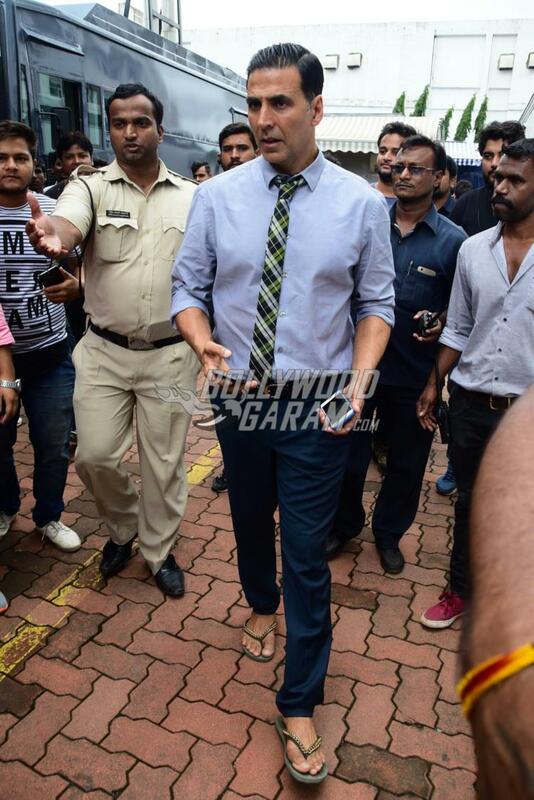 Akshay at the promotional event looked great in a formal shirt, trouser and a tie and paired it with a pair of slippers. Co-star Bhumi looked stylish in a black top, baggy pants and a white long shrug. The sets of Dance Plus also saw Shakti Mohan, Remo D’Souza, Dharmesh Yelande, Raghav Juyal and Punit Pathak. Akshay and Bhumi had a great time interacting with the contestants, judges and the audience. 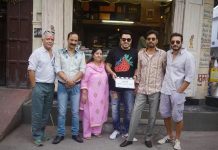 The film Toilet: Ek Prem Katha is directed by Shree Narayan Singh and is due to be released in theatres on August 11, 2017. Previous articleVideo - Tiger Shroff, Nawazuddin Siddiqui perform at Main Hoon Michael Concert grand finale!